While experimenting to see if looking at cars on Craigslists can make the workday move faster, I stumbled upon several fun cars including this MR2. This particular one is a one owner 1992 with 165k miles and asks $4400. I was originally thinking that may be a reasonable price for early 90s Japanese fandom, but is it though? That mileage seems kinda high. I don’t know, so I thought I would ask my fellow Oppos, what say you NPoCP? 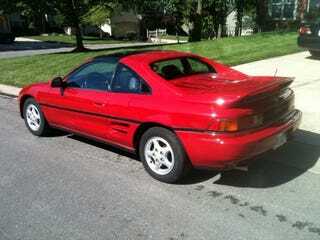 1992 Toyota MR2, one owner, 165,000 miles, black leather interior, with T Tops.